You are running an affiliate marketing website that has a budget of $500 and you are spending on affiliate marketing software/services worth $450, then all you are left with is $50 in the end. This additional money is the only fortune you have that you can spend on running traffic for your website. So, if that’s the situation you are in, it’s time you get your finance right with the right resources. We understand that you want to make money, and so, you are hell bent to get all the support you can get. However, be careful, as desperation can lead to spending on tools that are unnecessary, ultimately leaving you with barely any money to run traffic. Hence, you need the right tools or services that can help you save both time and money. For instance, spending on an affiliate tracking software can be beneficial for your affiliate marketing business as this service can help you track who got the sales and how many in real-time. But, make sure that it’s quality software and is reasonably priced to suit your budget. LeadDyno is one such affiliate marketing tool that starts at just $49 per month and offers some great features. Let’s take a look at the essential tools for affiliate marketing in a budget. With no investment cap, perhaps one of the best things you can do is to buy traffic for your affiliate website. That’s the fundamental tool that you need to start with affiliate marketing. Even if you choose to try out all the traffic generating tools out there, you may not be able to generate the profit as per expectations. So, how do you get traffic? Purchasing traffic from platforms like Facebook, DSP (demand-side platform), or whatever you think has the potential. You can then pass on the offer to the affiliate network. The recommended budget therefore, should be a minimum of $250 per campaign to drive traffic. The power to invest more will help you try out more variables. While you buy traffic, it won’t tell you who is getting the conversions for you. You will not have the actual details of the sales, which can create a mess of your finances. As discussed earlier, investing in an affiliate marketing software is one of the crucial steps to stay updated on the sales generated and the profits earned. This will help you identify who is converting for you and accordingly target the consumers with your marketing strategies. So, getting a trusted affiliate tracking software like LeadDyno will not just help you to keep a track of the conversions, but also offer an affiliate dashboard mobile app for the affiliates to keep an eye on the clicks and commissions in real-time to keep them motivated. Although there are many who would rather prefer using free tools like Google Analytics, in the end all you are left is with a few dollars. Not using a specialized affiliate marketing software can only prove to be suicidal in the long run. The next most important tool that you would need is a dedicated server. You won’t need a server for the affiliate marketing software, because those are usually in the cloud. Wondering why you would need a server then? Images, scripts, landers, etc. need to be hosted somewhere and that’s the whole reason why you would need VPS server. The servers would become a big chunk of your architecture, if you use landing pages most of the times. But, trying a shared hosting service can prove to be a bad idea because in affiliate marketing you need to send plenty of impressions, perhaps in thousands every hour. Shared hosting is rather best for those who get average traffic for instance, in few hundreds. What’s important here is the page load time and uptime that can be a major contributor to your success. Hence, a VPS server which is a step ahead of shared hosting, is able to manage added traffic more efficiently compared to shared hosting. Using a regular shared hosting is unable to prevent sudden crashes due to the spike in traffic, resulting in the loss of hundreds of dollars. Therefore, make sure that you invest in a high-quality and dedicated server even if it costs a few dollars more to ensure smooth functioning of your affiliate website. Using the above three tools should be good enough to give you that edge by 80% in affiliate marketing. You are sure to make fortune with these tools, but if you want to reach that ultimate level, you can explore these additives. Join a forum, especially a paid one to ensure that you do not miss any valuable advice. Forums are the right place to find like-minded people sharing common interests, best practices, and valuable tips. If you are eyeing that free to join forum, you may not get the exact answer for your query and may instead find people who are trying to sell. Paid forums are also suitable for those who are new to affiliate marketing. As a newbie you can expect help from the moderators and experienced affiliates at each step. Spy, as these are called, these tools work just like the real spy for affiliate marketing. While these can make your job a lot smoother, there are still some concerns that come along. Among the pros, spy tools make which landers are selling better for which verticals, the ability to split landers easily enabling you to test them on your own, view which offers are currently on, and the ability to set up a campaign rapidly because there’s no requirement of coding up of landing pages. On the flip side, these tools are expensive and the money can be rather spent on buying traffic. Moreover, automating activities that should be instead done by you, makes you laid off and hinders creativity. While networking on Skype is fine, there is no better way to connect than face-to-face. Attending conferences on affiliate marketing is one of the best ways to network with the like-minded people. Yes, even if it costs you a few hundred dollars. But, if you are newbie in the affiliate business, it would be smarter to run a campaign from your laptop than attending a conference. 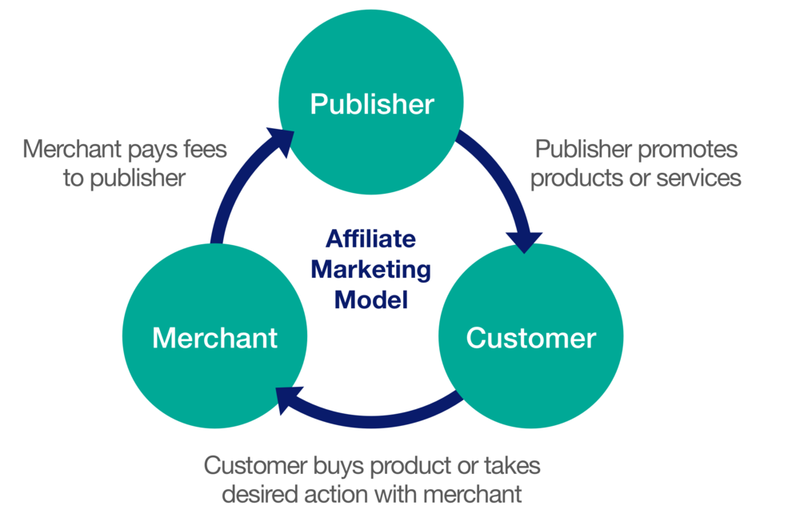 This is because for fairly new affiliate marketers with no campaigns launched, would make it difficult for them to network with reps and affiliates. Well, to be blunt, if you want to a be successful in affiliate marketing, it won’t be possible without investing anything. You need money to make money in this business. At the same time, it’s advisable to retain your current job to support your expenses while you dedicate your time also for affiliate marketing alongside. So, all you need are the three main affiliate marketing software to be successful. The overall aim is to keep costs low and generate high revenues. So, make your choice wisely and be a pro in affiliate marketing in no time. The post Affiliate Marketing: The Essential Tools You can get in a Budget appeared first on erpinnews.